The rent at PENTHOUSES AT CAPITOL PARK Apartments ranges from $1,999 for a studio to a $2,550 one bedroom. Apartments in this building are about 59% more expensive than the Downtown average. PENTHOUSES AT CAPITOL PARK Apartments is an eight minute walk from the Blue Meadowview - Watt/I-80 at the Cathedral Square Station (EB) stop. This apartment is in the Downtown neighborhood in Sacramento. Nearby parks include California Vietnam Veterans Memorial, Capitol Park and Governor's Mansion State Historic Park. 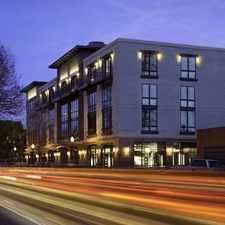 PENTHOUSES AT CAPITOL PARK Apartments has a Walk Score of 93 out of 100. This location is a Walker’s Paradise so daily errands do not require a car. 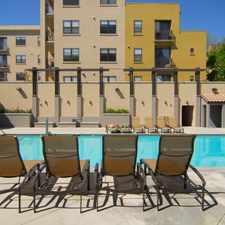 Living right on the border of Downtown and Midtown Sacramento, youre close to all the action when you live at the Penthouses at Capitol Park. From swanky bars to high-end dining, theatre performances and charming boutiques, you dont have to travel far to experience the vitality and culture of city life. Easily walk to the nearby botanical gardens at Capitol Park, see fascinating exhibits at downtown museums or tour the historic neoclassical style State Capitol Buildingall in the place you call home. Explore how far you can travel by car, bus, bike and foot from PENTHOUSES AT CAPITOL PARK Apartments. PENTHOUSES AT CAPITOL PARK Apartments has good transit which means many nearby public transportation options. Car sharing is available from RelayRides and Zipcar. PENTHOUSES AT CAPITOL PARK Apartments is in the Downtown neighborhood. Downtown is the 2nd most walkable neighborhood in Sacramento with a neighborhood Walk Score of 92.